In the wake of modern recording technologies, the notion of a complete and legitimate band consisting only of a guitarist and keyboard player has become so common as to make it decidedly un-noteworthy. Such bands invariably find themselves creating nearly the exact same sound that all other guitar/keyboard duos have, rehashing the same lyrical lamentations to the point where such groups practically have their own sub-genre of indie pop. Small Multiples, the self titled EP released by Connecticut-by-way-of-New-York-City’s Eli Friedmann and Craig Hartley certainly makes use of all the trappings of the genre (page 1 of the handbook must detail synthesizer [over]use), yet they still come away with an incredibly strong 5 song collection, that both leaves room for and suggests future growth. The lead track, “Know My Name,” is easily the strongest of the bunch. Friedmann’s chugging guitar, a driving, throbbing backbeat courtesy of Dave Burnett and an extra terrestrial influenced synth warble immediately call to mind Reggie and the Full Effect. And, like the best Reggie tracks, it immediately hooks the listener, reeling them in despite their best effort. When the vocals join in, distorted and pitchy, it was like listening to the lost tracks from Boys Night Out’s Trainwreck. The tone, the rawness, the pain was eerily reminiscent of Connor Lovat-Fraser’s and I had to double check to make sure he was not a guest on the record. While the words aren’t anything groundbreaking, the band understands that, in this case, the actual lyrics take a back seat to presentation, and they receive a stellar delivery; a seamless blend with the instrumentation. Hypnotically wrenching and soothing at the same time, it still has enough of a melodic, musical edge for someone like me (a self-avowed despiser of synthizers) to latch onto, making it impossible to make it past the track without hitting ‘repeat’ a few times. “Setting High” features guest vocals by Leah Siegel, alternates between being too ethereal and self involved, or too grandiose. The longest track, at 5 minutes, it is also too long. “Star Eyes” closes the EP with a Reggie-esque vibe with some slight Flaming Lips style dissolutions; ultimately, too experimental to be catchy. 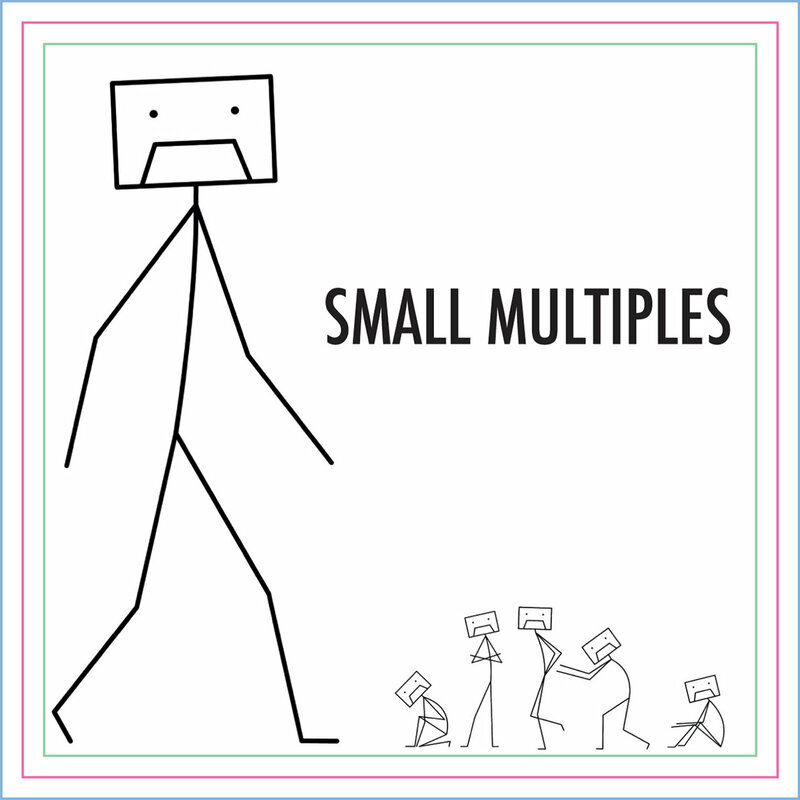 Perhaps it’s the surprising strength of the opening track, but with the release of this EP, Small Multiples have announced their presence as a group deriving from, but not encumbered by, the clichés of the modern guitar and keyboard duo.